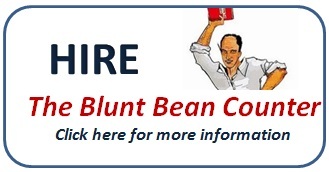 The Blunt Bean Counter: Proprietorship or Corporation - What is the Best for Your (New) Business? 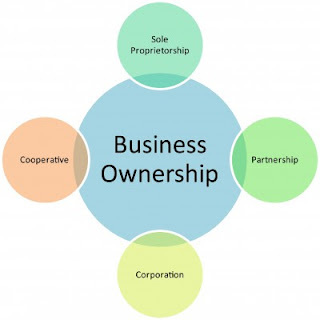 Proprietorship or Corporation - What is the Best for Your (New) Business? I am often asked by readers and clients, whether they should incorporate a new business or start as a proprietorship? A logical follow-up question for those that have already started their business as a proprietorship is: when should they convert their proprietorship into a corporation? I will address both these questions today. The number one non-tax reason to incorporate a business is for creditor proofing. Generally, a corporation provides creditor protection to its shareholder(s) through its limited liability status, a protection not available to a proprietorship. (It is important to note that certain types of professional corporations while protecting your personally from corporate liability, do not absolve the individual professional from personal professional liability). Where an incorporated business is sued and becomes liable for a successful claim, the only assets exposed to the creditors are the corporate assets, not the shareholders personal assets. In order to mitigate the exposure that a potential claim could have on corporate assets, a holding company can be incorporated. Once the holding company is incorporated, the active corporation can transfer on a tax-free basis the excess cash and assets to the holding company (as discussed in my blog creditor proofing corporate funds) to insulate those assets from creditors. The assets in the holding company cannot be encroached upon if there is a lawsuit against the operating company unless there was some kind of fraudulent conveyance. The inherent nature of certain businesses leads to the risk of lawsuits, while other business types have limited risk of a lawsuit. Thus, one of your first decisions upon starting a business is to determine whether your risk of being sued is high and if so, you should incorporate from day one. If you believe that your business has substantial growth potential and may be a desirable acquisition target in the future, it is usually suggested to incorporate. That is because on the sale of the shares of a Qualifying Small Business Corporation, each shareholder may be entitled to a $750,000 capital gains exemption. So for example, if you, your spouse and your two children are shareholders of the family business (often through a family trust), you could potentially sell your business for $3,000,000 tax-free in the future. It should be noted that typically businesses that are consulting in nature, have limited value, since the value of the company is the personal goodwill of the owner. Where you start your business as a proprietorship, it is still possible to convert the proprietorship into a corporation on a tax-free basis and to multiple the capital gains exemption going forward. 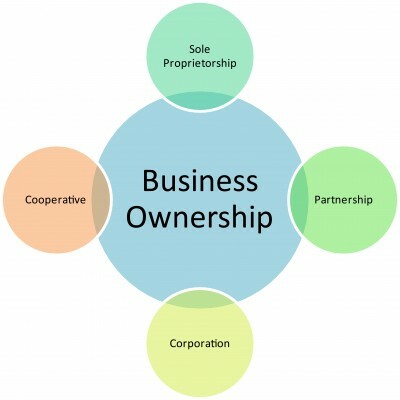 A couple of points are worth noting here: (1) incorporating a proprietorship after the business has been operating for a few years may result in substantial legal, accounting and valuation fees; and (2) the value of the business up to the date of incorporation will belong to you and will be reflected in special shares that must be issued to you (assuming you will include other family members as shareholders in the new corporation). For example, let's say you operate a successful business which you started as a proprietorship because you were unsure of whether it would be successful. The business has taken off and you have engaged a valuator to value the business prior to incorporating. The valuator has determined that the fair market value of your business today is worth $500,000. Upon incorporation, the $500,000 of value would be crystallized in special shares that would be owned by you. The new common shares that would be issued would only be entitled to the future growth of the business above and beyond the $500,000 and thus, any future capital gains exemptions for the new common shareholders would only accrue on the value in excess of $500,000. A corporation provides greater income splitting opportunities than a proprietorship. With a corporation it is possible to utilize discretionary shares that allow the corporation to stream dividends to a particular shareholder or shareholders (e.g. a spouse or a child 18 years of age or older) who are in lower marginal income tax brackets than the principal owner-manager. Dividends are paid with after-corporate tax dollars from the business, whereas salaries, the alternative form of remuneration, are paid with pre-tax dollars and are generally a deductible business expense. The deductibility of a salary by a business is subject to a “reasonability test”. In order to deduct a salary from the business’ income it must be considered “reasonable”. Unfortunately, there is no defined criteria as to what is considered “reasonable”; however, paying a family member a salary of $50,000/annually who has little or no responsibilities within the business is likely not “reasonable”. However, with dividends there is no such “reasonability test”, so paying a family member a dividend of $50,000 even though she/he may have little or no responsibilities within the business is perfectly acceptable. Salaries to family members can be paid in an incorporated business or unincorporated business; however, the dividend alternative is unique to a corporation. Sole proprietors cannot pay themselves a salary; they receive draws from the proprietorship. The first $500,000 of active business income earned in a corporation is currently subject to an income tax rate of only 15.5% in Ontario. Since the personal rate on income can be as high as 46%, income earned within a corporation potentially provides a very large income tax deferral, assuming these funds are not required personally for living expenses. This potential 30% deferral of income tax allows you to build your business with pre-tax corporate dollars. It should also be noted that once you take the money from the corporation, in many cases you essentially pay the deferred 30% tax as a dividend. Many people want to incorporate their business because they feel they will be able to deduct many more expenses in a corporation. In a general, that is an income tax fallacy. For all intents and purposes, the deductions allowed in a proprietorship are virtually identical to the deductions permitted in a corporation. The costs to maintain a corporation are significantly larger than for a proprietorship. There are initial and ongoing legal costs and annual accounting fees to prepare financial statements and file corporate income tax returns. These costs can be significant in some cases and can even outweigh some of the tax benefits in certain situations. In addition, the administrative burdens for a corporation are far greater and drive many a client around the bend. For example, in a proprietorship or partnership, the owner(s) can take out money from the corporation without payroll source deductions. This is not the case when the owner(s) take out money in the form of a salary from a corporation. So Why Start as a Proprietorship? If you do not have legal liability concerns and you cannot avail yourself to the enhanced income splitting opportunities with family members a corporation may provide, starting as a proprietorship keeps your costs down and reduces your compliance and administrative issues. More importantly, since most people need whatever excess cash their business generates in its early years to live on, there is generally little or no tax benefit from incorporating a business initially. Finally, a proprietorship essentially provides for an initial test period to determine the viability of the business and if there are business losses, the owner(s) can generally deduct these losses against his or her other income. When to Incorporate your Proprietorship? In my opinion, you should incorporate your proprietorship once it has proven to be a viable business and once it has begun to generate cash in excess of your living requirements, so that you can take advantage of the 30% tax deferral available in a corporation. Once you satisfy the above two criteria and incorporate, you will then benefit from creditor protection and the potential income splitting opportunities with other family members (assuming you want to include other family members as shareholders) and potentially the capital gains exemption or multiplication of the capital gains exemption if you include other family members in the corporation. There is no “one shoe fits all” solution in determining whether to incorporate a new or ongoing business; however, the answer should become clearer once you address the issues I have outlined in this blog. Thanks for this post :) I've had it as an open tab forever and a day, and it helped me to learn a little about what options I have open to me if/when I decide to open a business! Thanks for such an informative website. I have a Medicine Prof Corp. Is there any advantage in having young children ( Less than 18) as share holders ? Children under 18 are subject to a kiddie tax, so typically there is limited benefit for income spliting. Since most Dr's cannot sell their practicies for much, using children to multiply the capital gains exemption is also generally of limited value. 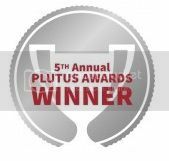 Thank you for spending so much time on your blog. You have a great command of written English as well as understanding of tax. Several years ago, I began an unincorporated partnership business with my wife. Over the years, we have acquired several rental properties in our joint names, some of which we manage ourselves and do not pay ourselves a property management fee. Now, I am planning to start up a property management company to mange our own properties as well as those belonging to others. We would pay this PM company a fee for managing our existing properties. Do you see any advantage to incorporating either or both of the existing and/or new businesses? I would need way more facts to answer this question and I dont provide personal tax planning advice on this blog. However, from a creditor perspective, owning several properties in your own name could be an issue, hopefully, you are well insured. There may be an advantage to the management co, however, again I would need more facts including your marginal tax rate etc.